Servers are the backbone of every successful business organization and without the support of servers the business can never flourish. However, today, the business organizations are not opting for the physical servers, but are instead looking for virtualizations of their servers as it saves on time, investment and power. Physical servers are huge machines that use up a lot of space and power and the cooling costs of such machines are also substantial. Therefore, facing such situations, the best ways to move ahead the business would be to opt for virtualize server management. Virtualization technology services imply a division of single physical server to several multiple, which in turn stores the data and has the capability of working in any physical server or system. To maximize resources, several companies are now opting for management, which utilizes one physical dedicated server and sets up several, which co-exists independently of the main system. The process involves analyzing and maintaining resources so that high performance connection of the network remains established throughout the working of the server. To ensure constant performance of server, have to be established tactfully and their number should never impede the performance of the main server. Maximum Utility for Hardware: The virtualize server spruce up the hardware uses up to 85%, which is a very good ratio when compared to other servers. This helps the available resources to develop your business. This reduces the need of a lot more instruments while reducing the costs for it dramatically. Flexibility: The virtual servers offer a high degree of flexibility as it makes both hardware and software segregate. This means you can easily upgrade, edit or transfer one without influencing the working of the other. You can also use any kind of system or applications as it has a higher degree of compatibility. Security: The virtualization technology services also provides Security and recovery backup such as VMware. It includes services like Off-site Backup Replication, Instant File Level Restore, Remote Management Console, Backup lives VMs, Compression & Encryption, and Sandbox Restore testing. Virtualization Service is not only providing backup, but also gives you a top-notch security to the entire business. Since the very beginning, data backups have always been one of the major concerns of computer users. During manufacturing defects, electrical defects, or any system failures it is extremely important to save your imperative data to ensure smooth functioning of business operations. Here, you can resolve all these VMware backups with an ease. 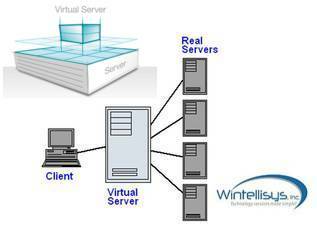 Whatever problem your IT Company is facing, Wintellisys is the perfect place to resolve all the issues. Our techno-experts create the most secured virtual environments for you whether you are looking for storage virtualization, network virtualization, operating system virtualization or application virtualization we ensure to provide you the greater results.